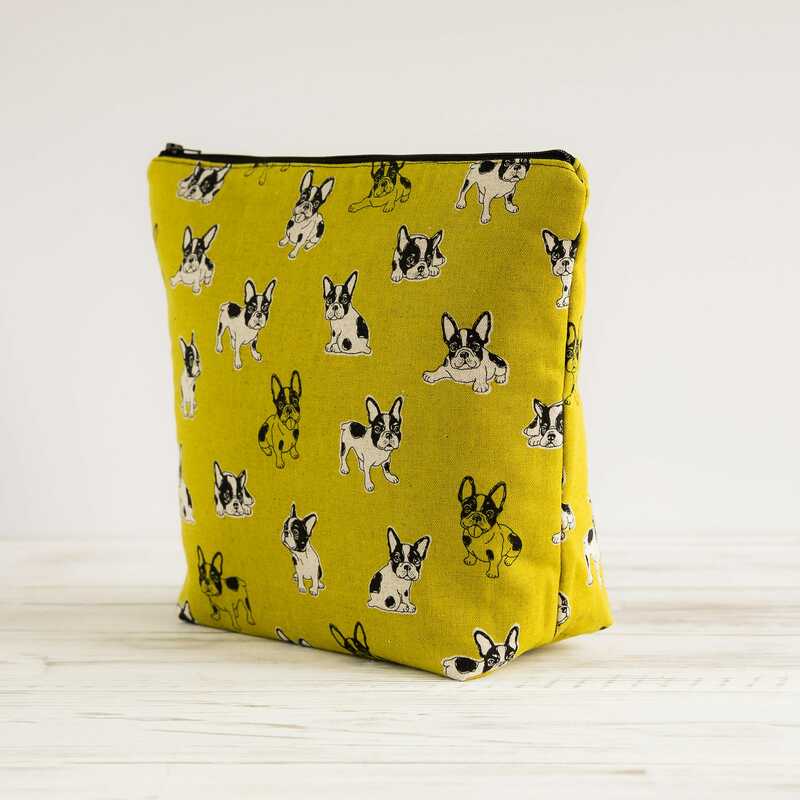 The wash bag is made from high quality Japanese cotton fabric in a gorgeous green shade featuring adorable french bulldogs. Each bag is fully lined in a white high quality waterproof and durable PUL fabric which can be easily wiped clean and padded to give it a little shape. Finished with chunky black zip closure to keep all your items nice and secure. 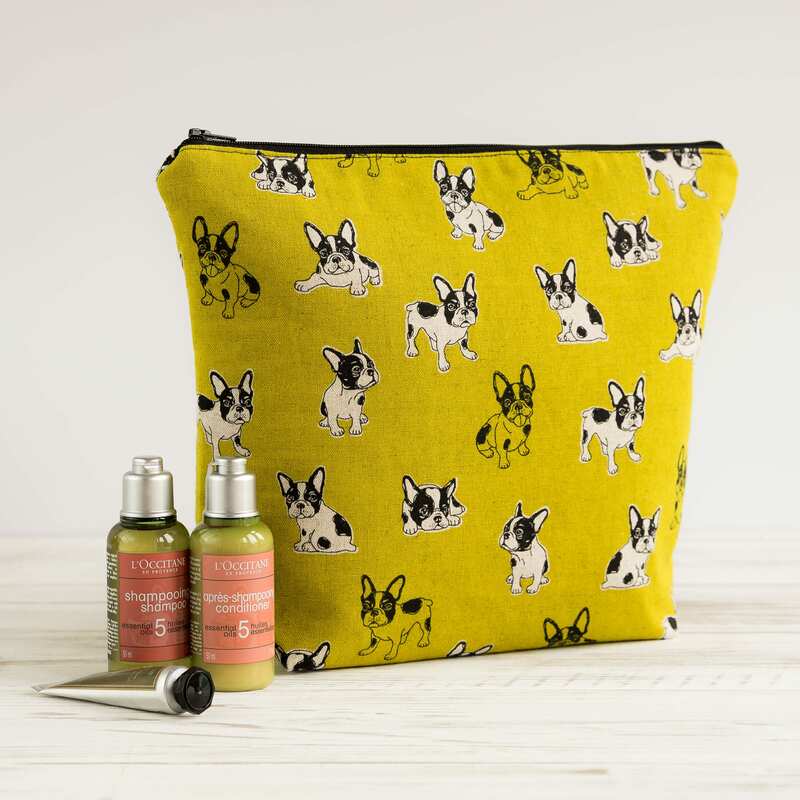 Organise your beauty essentials with our range of our handy high quality wash bags. Whether you’re travelling or just need some order in your life, there’s a bag for every purpose. 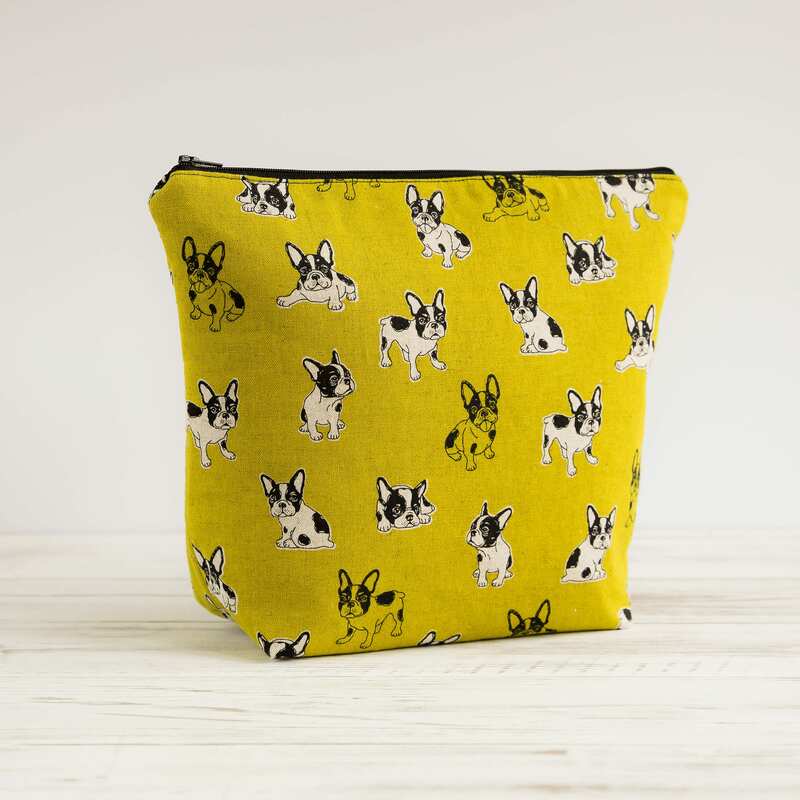 The large wash bags have many uses not only for make up or toiletry necessities but make great little wet bags for baby items or perfect to take to the gym to put your wet items in. 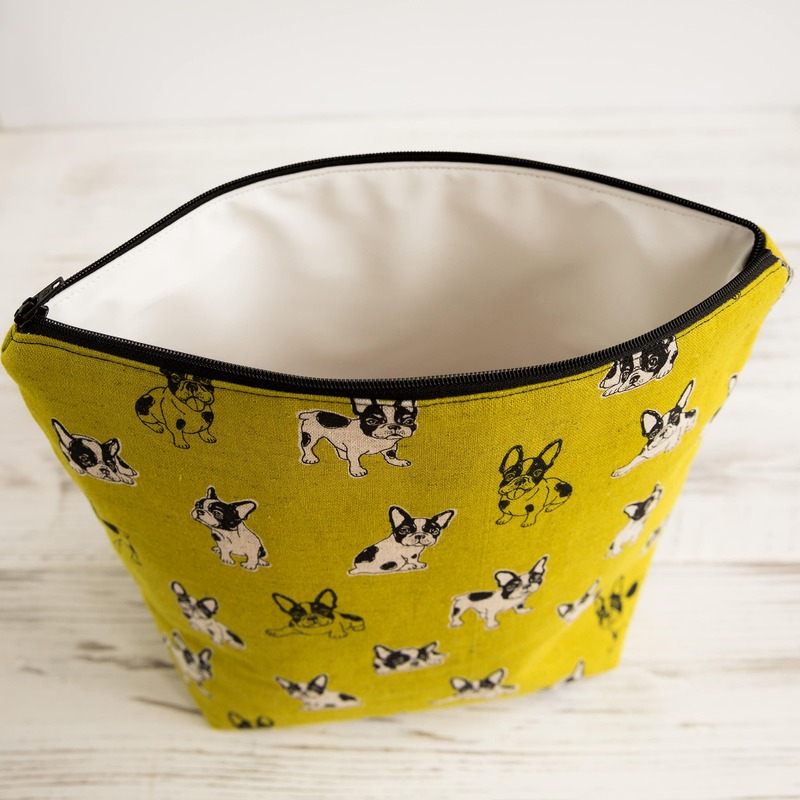 They also make perfect storage and project bags for all those knitting and sewing projects. LOVE it...just what i wanted, thanks again!